Citing the report, the New York Times claimed North Korea has been operating 16 hidden bases for its ballistic missile program and that its leader Kim Jong-un broke the commitment made upon meeting with US President Donald Trump in Singapore in June. While the CSIS report is indicative of the challenges in verifying hidden nuclear and missile facilities scattered around North Korea, analysts say the claim that Pyongyang has broken promises is biased hyperbole. Considering that the existence of the Sakkanmol base had been well-known to intelligence agencies in the US and South Korea, experts noted that the timing of the report reflects the Washington establishment’s critical view of Trump’s rapprochement with North Korea. Adding to the controversy is that the satellite images of the missile bases were captured well before Kim met with Trump. 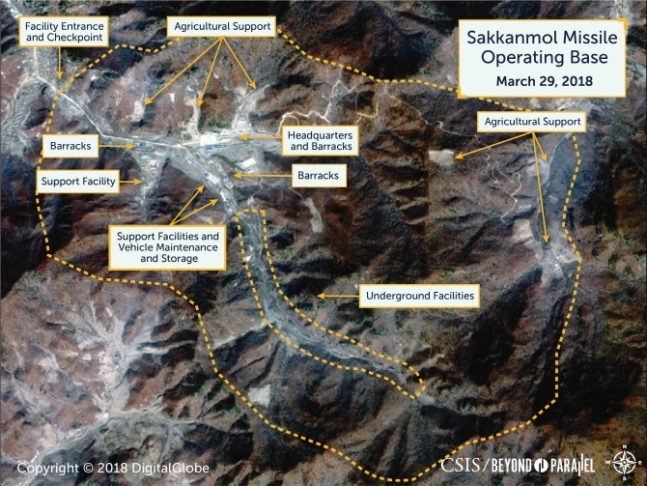 The pictures of the Sakkanmol base were taken in March, three months before the Trump-Kim summit. During the Singapore meeting with Trump, Kim pledged to work toward the “complete denuclearization of the Korean Peninsula.” In a good-faith measure, Kim offered to shut down a major missile launching site after closing down the Punggye-ri nuclear test site in May. But those moves do not suggest that Kim is required to declare missile bases that the North wants to hide from the outside world, Go noted, because North Korea has never agreed to provide a full accounting of its nuclear arsenal to the US. Leon V. Sigal, director of the Northeast Asia Cooperative Security Project at the Social Science Research Council, said the New York Times exaggerated what was originally said in the CSIS report by longtime North Korea watchers. The controversy appears to reflect the frustration of Washington’s foreign policy establishment, which is critical of South Korean and US leaders’ approach toward North Korea’s nuclear program. In a tweet posted Wednesday, Victor Cha, a prominent North Korea expert who co-authored the CSIS report, hit back at Trump’s claim that the New York Times report was “fake news” and criticized South Korea’s presidential office for advocating North Korea’s position. Cha asserted that North Korea should provide a list of those “undeclared” missile bases, saying they are still operational and capable of launching ballistic missiles. North Korea was believed to have fired short-range ballistic missiles from the Sakkanmol site in 2016. 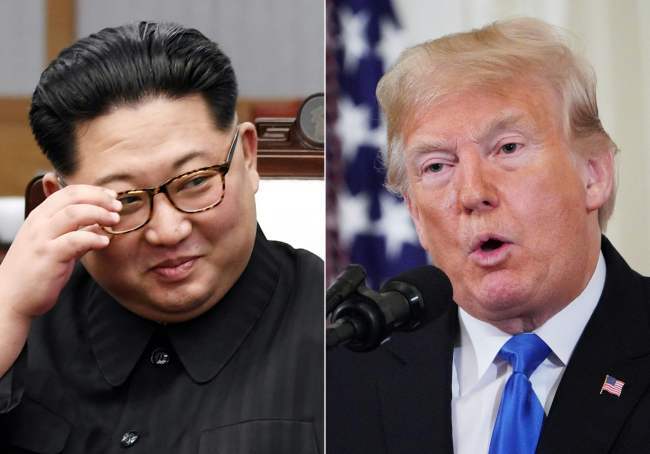 Those findings could worsen the prospects of the already-stalled denuclearization talks and a second US-North Korea summit, as the Democrats, who took over the House of Representatives in the recent mid-term elections, ratchet up criticism of Trump’s North Korea policy.